Home / Cultural Adviser Joshua and a Bell! 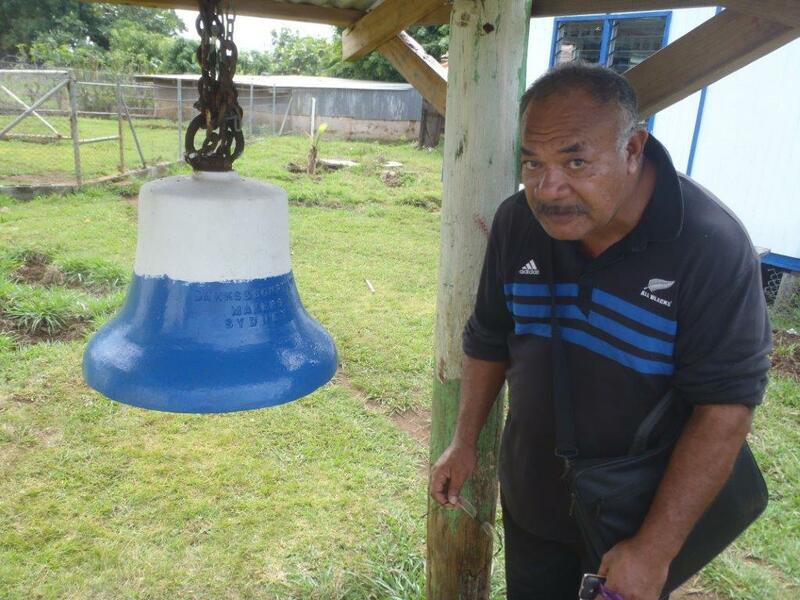 Last year Joshua, our hard working “Cultural Adviser” for Tonga Blue (part of our team for the past couple of years), took us to a place where there was a bell. No one knew anything about it, so I did a quick check for “Danks & Sons Sydney” and turns out the company is still going strong, as a huge public company with two of the biggest brand retail hardware chains in Australia. Here is what they say in their web site. John Danks & Son Pty Ltd began as a plumbing business in 1859, established by brothers John and Samuel Danks. Occupying a prominent site in Bourke Street, Melbourne for 100 years, as well as factories in Melbourne and Sydney, the company manufactured and supplied a variety of plumbing and engineering products such as brassware, pumps, windmills and bells. So this bell is certainly no older than 1859 and was probably cargo, as there is no ships name!